There are a number of things you can do with a student loan refinance, such as lower monthly payments, lower interest rates or just more time to pay off the loan. Here are a few of the more popular options that you have to refinance your student loans. With a bank you will get professional customer service. 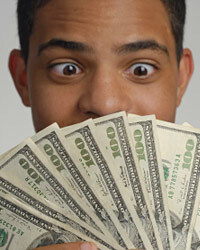 If you have a good credit score, you may be able to get a personal loan that will meet what you are looking for. You can get a low interest rate and possibly save yourself some money over the life of the loan. Banks give you more services and benefits than many other financial institutions. You can get online account access, automatic bill pay and many other convenient features. An often overlooked option for student loan refinancing is the local credit union. However, credit unions have some of the best student loan refinance and consolidation programs available. Credit unions are non-profit organizations. As such organizations, they are entitled to save money on taxes. Since they do not pay any taxes to the government, they can pass those savings on to you. This will allow them to offer you lower rates and charge you lower fees as well. Credit unions pay dividends to account holders. Therefore, if you start an account with them and deduct the payment from your account, you can possibly save even more money along the way. Another common option is to refinance your student loans into a home equity loan or line of credit. By using home equity, you can often lump your student loans in with other debts, and consolidate everything into one easy payment. With a home equity loan, you can still deduct the interest on your taxes. Therefore, you are not losing that advantage of student loans. You can also spread the period out over a long period of time and possibly make your payment lower. Home equity loan rates are usually pretty reasonable so you may not lose anything from your student loans. This can make your financial life much more convenient if you can make only one debt payment per month. Peer-to-peer loans are another option to refinance your student loans. With these loans, you are actually borrowing from an individual lender. They have a certain percentage that they want to get back on their investment and will give you terms similar to a bank. This can give you another option if you are not approved at some of the more traditional loan establishments.